ThePixel | YouTube Will Soon Offer Cable TV - Videos Are The Future! It’s happening! Cable TV is coming to YouTube. Viewers are curating their own content streams, with no care for labels like “digital,” “broadcast,” “cable,” “smartphone,” or “television.” They cast YouTube to their TVs and watch TV programming on YouTube. For them, combining TV with YouTube yields better entertainment. Viewers once gathered around just one screen to watch video content. Now they gather around all their screens to watch all types of video content. Adults are 5x as likely to prefer online platforms over cable or broadcast TV to watch video at home. Two-thirds of people say they pick up another device during a television ad break. 92% of YouTube viewers watch YouTube on a mobile device when they are at home. 51% watch YouTube on TV to relax or unwind, while 38% watch to feel entertained. Among viewers who watch YouTube on their TV, 48% of moms watch with their kids. 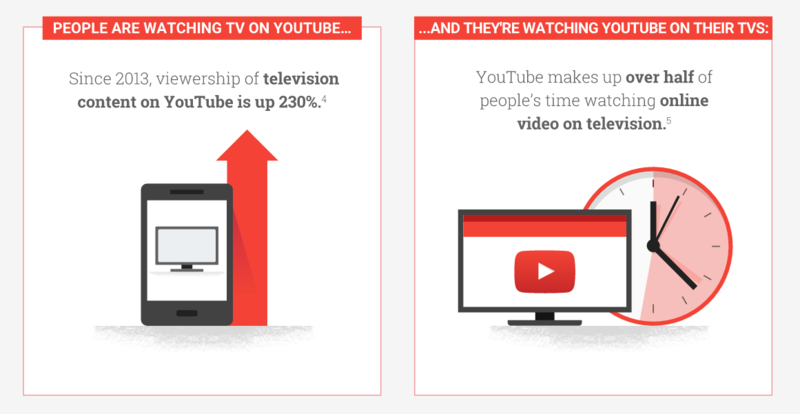 25% of viewers who watch YouTube on their TV watch to share a YouTube video with their family or friends. In an average day, YouTube reaches more 18+ viewers than any TV network. Almost 50% of internet users looked for videos related to a product or service before visiting a store. Purchase intent is 150% higher from paid YouTube TrueView ads than from TV ads. View the full infographic below, and tell us in the comments… Do you have cable? If so, will you switch over to YouTube’s cable plan ($35/mo)? Hire ThePixel to build an award winning website for YOUR business! ThePixel creative is a Cedar Rapids, Iowa – United States based web agency that specializes in website design and development, website content management, social media marketing, mobile apps, web hosting, website maintenance and other online web services. Since 2008, ThePixel has been honored helping businesses thrive online with our unique website design, development services and online marketing techniques.